Sarah H. Baker is the author of more than 20 novels, with publishers ranging from Kensington to Harlequin to small presses. She holds an MS in engineering and works full time, but also writes fiction under three pen names: S. H. Baker, Sarah Storme, and Lydia Parks. The first book in her Dassas Cormier Mystery series, Murder in Marshall’s Bayou (Zumaya Publications, 2009), was recommended for an Edgar Award. Return to Marshall’s Bayou (Siren Audio Studios, 2010) is the full-cast audio version of this first mystery and was a finalist in the Audie Awards. Sarah enjoys sharing her experience with other writers and teaches courses through University of New Mexico’s Continuing Education Department. Visit her on Facebook and her Amazon author page. Tell us about your newest work. 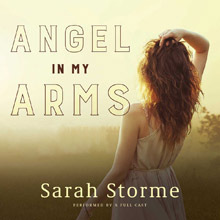 Angel in My Arms is a full-cast audio romance set in 1920s Louisiana. Captain Joshua Wakefield lost his wife and child seven years ago in a Gulf storm. Lydia Wakefield, a young woman wise beyond her years, offers the love and joy he never expected to find again. What do you hope readers will take away from Angel in My Arms? I hope readers will be reminded that there is always hope for a better tomorrow, no matter how bad things are, and that love is the one thing we must give away in order to find. This was the first piece I’d written specifically for full-cast audio. The producer — Linda of Siren Audio Studios — and I shared a vision of what audio could be, and worked hard to fulfill that vision with this book. We’ve done things in here never done before. For example, as Joshua and Lydia grow more intimate, their internal dialogues weave together, and when they move apart, their internals move apart. The effect is breathtaking! But there was quite a bit of trial and error involved before we were both happy. And, since there are a dozen actors in the book, the post-production took quite a while. I think readers will be happy with the result, too. What was the most rewarding aspect of writing Angel in My Arms? The most rewarding aspect of this project was working closely with Linda and the actors. Everyone participated in bringing the book to life. And having the opportunity to actually hear the characters’ voices has to be one of the most amazing things a writer can experience. My struggles have evolved with my writing, as everyone’s do. At this point, I’m most happy with my dialogue, and tend to struggle with getting enough detail and use of senses into descriptions. Of all the novels you’ve written, which one did you enjoy writing the most? Beside the audio books, the book I most enjoyed writing was Death of a Dancer, part of the Dassas Cormier Mystery Series. The story takes place in New Orleans in 1925. Although I grew up there, I had no idea what the city was like in 1925. I don’t think I’ve ever enjoyed researching a book so much. I found amazing information including a city map from 1919 and a menu from Antoine’s in the early 1900s, and I even located an officer in the New Orleans Police Department who answered all my questions. I had a blast visiting the original police station in the French Quarter, long ago turned into an office building. When the book was released, I sent a signed copy to the officer who had helped me. Best I can tell, it ended up on his desk the day before Hurricane Katrina hit. What is the hardest part of writing a series? The only series I’ve written is the Dassas Cormier Mystery Series, but the hardest part for me is remembering details. It would be easier if I wrote all the books straight through (or if I had a younger brain), but, instead, I’ve written several books between each of those in the series. I did discover early on that I needed a map of Marshall’s Bayou and a list of all the secondary characters. If I were going for another dozen books in the series, I’d probably need to keep a detailed summary of each book. At this point, I just keep basic relationship notes. Before I get back to work on the next book (the last in the series), I plan to reread the other four. You write under three pen names — what is your advice to writers considering the use of multiple pseudonyms? I admit, I’ve signed the wrong name to a book at least twice! My advice is to be sure you need different names. In my case, I write in three genres and don’t want my romance readers picking up a mystery by mistake, or my mystery readers picking up erotica. Genre fiction is about reader expectation, so I want my readers to know what they’re getting. If you don’t write multiple genres and don’t need to write under other names, I wouldn’t advise it. Life is confusing enough! Why do you write in the genres you’ve chosen? I started out writing romance because I enjoyed writing about relationships, and I’m an optimist. With romance, the goal is to have the reader smile and sigh after reading the last page. What can be better? I also write mystery because I grew up reading everything from the Hardy Boys to Agatha Christie to James Lee Burke. I love the genre for the same reason I love romance: it’s full of optimism. The good guy or gal wins out in the end, and the evil-doer is punished. Erotica is a different situation in that I was asked to write it. I found out, however, that I really enjoyed it, too. The genre gave me a chance to write paranormal again (vampires and shape shifters), and to expand my boundaries as a writer. I’m one of those lucky people who stumbled onto writing. Although I’ve always been an avid reader, when I was young I didn’t know someone could just become a writer. I guess I thought people like Dickens and Mark Twain emerged into the world as writers. While living in Alaska, I discovered a fan fiction site on the still-new Internet for my favorite TV show and started writing short stories to share with others. It turned out one of those “others” was a NY editor who encouraged me to write a book. She said I had potential as a writer and should try my hand at writing romance. I had no idea what I was getting into! Who do you wish you were more like in your own writing? I would love to be more poetic like James Lee Burke, better at characterization like David L. Robbins, funnier like Carl Hiaasen, and better at writing outside the lines like Elmore Leonard. My goal is always to learn from every writer I enjoy reading. What is the best encouragement or advice you’ve received in your writing journey? The best encouragement I received from outside my family was from an editor who read my first manuscript and actually called me. She wanted me to know that she wasn’t going to buy my book, but that she thought I had potential as a writer. She gave me a list of writing books to read and told me to get started on my next book right away. Without that call, I doubt I would be published today. Advice? Never give up, never surrender! (Yes, I stole that from Galaxy Quest.) But I don’t know anything for which persistence is more important than with writing. As soon as you finish one book, start on the next. Keep the creativity rolling. Another good piece of advice I received was to let a book rest before editing. Otherwise, you’ll still be inside the story and unable to read the words you’ve written. The publishing world is competitive, but writing shouldn’t be. No two writers will ever tell a story exactly the same way. Don’t be afraid to help those around you, or to learn from others. If you’re not improving and having fun as a writer, you may as well move on to something else. One of my characters once told me, “If you ain’t havin’ fun, you’re just wastin’ space.” That has become my motto. KL Wagoner (writing as Cate Macabe) is the author of This New Mountain: a memoir of AJ Jackson, private investigator, repossessor, and grandmother. 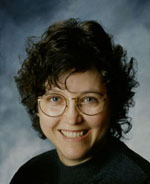 KL has a new speculative fiction blog at klwagoner.com and writes about memoir at ThisNewMountain.com.